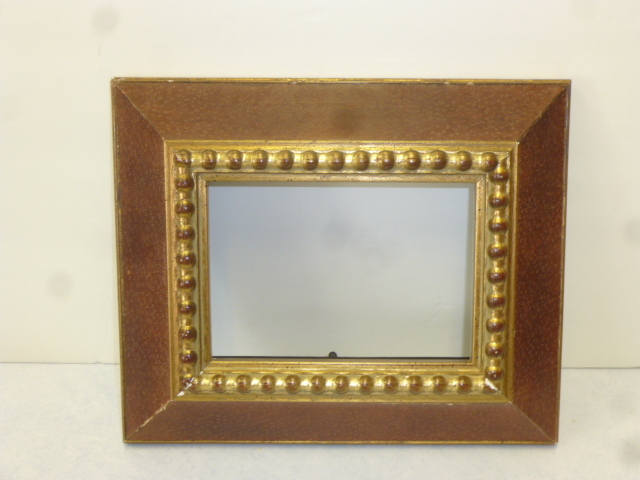 Found this frame, without the backing, at the thrift store. 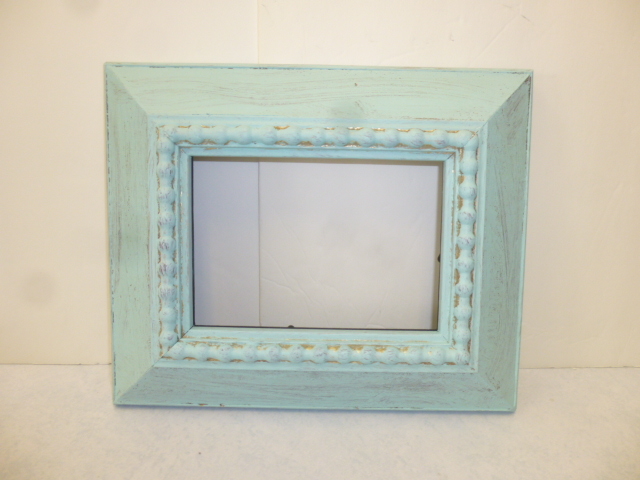 I quickly slapped on some turquoise paint as a base coat. 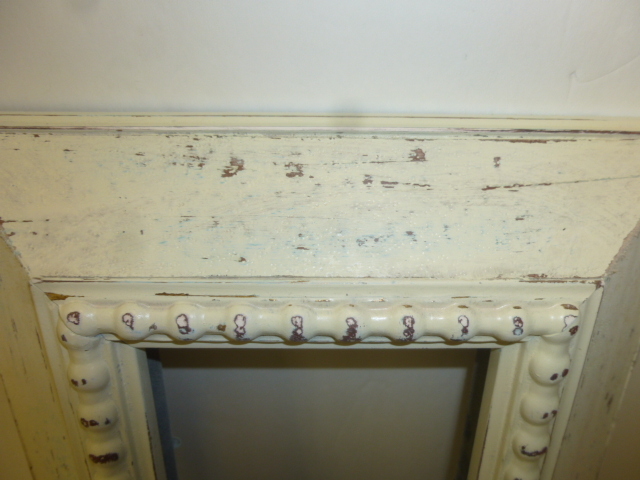 Then spray painted with Ivory; then lots of distressing with a sanding sponge. Just a tiny bit of the turquoise just barely peeking through. Normally at this point I am DONE. Tie on a price tag and take it to my booth. 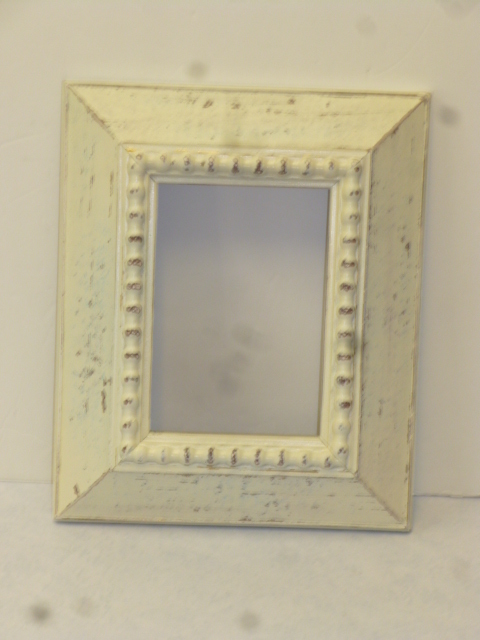 But I’ve been ‘sorting and organizing’ my craft room all week and came across a faded bird egg print that I thought would look perfect in this frame. 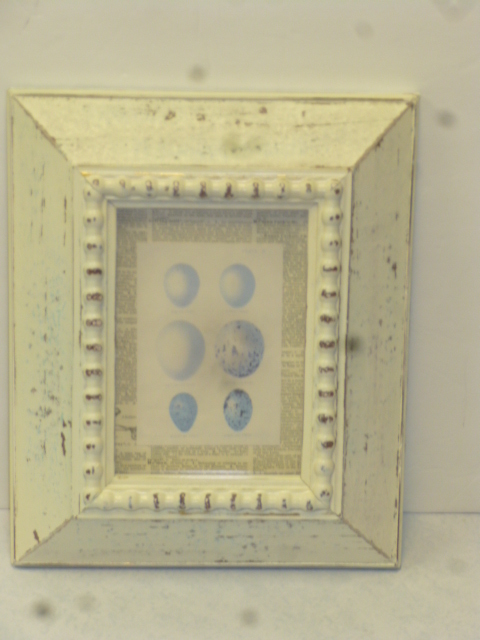 I love how the egg print looks in this frame! 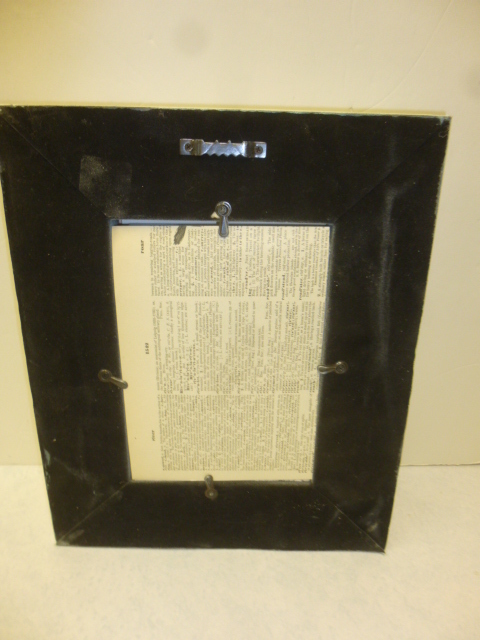 I mounted it on a piece of an old dictionary page. Since the backing was missing, I had to ‘make do’ with a piece of heavy cardboard, which I also covered with a dictionary page. Looks great AJ and I love how you think out of the box in your decorating! You were made for this life!! I was dropping off some boxes of clothes in one of the boxes in the parking lot of the grocery store. At the end of one of the boxes was a heavy wrought iron narrow table with a woven top (the right name escapes me at the moment) and I REALLY thought about bringing it home and doing an “AJ” on it but I’ve got to get out of the house I am in right now and don’t need to drag more stuff in so I left it for some other lucky soul!! I have those same annoying spots on my camera! If you ever find out from anyone what causes them or how to fix them, please mention it in your blog. I would love to know what to do about these! 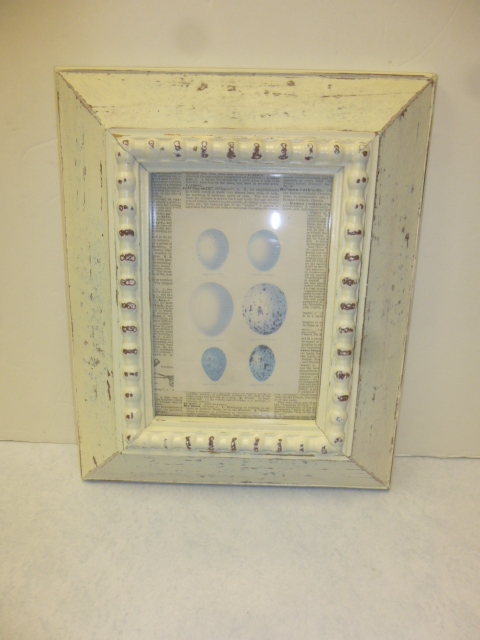 The egg print is the perfect touch! Inspired!